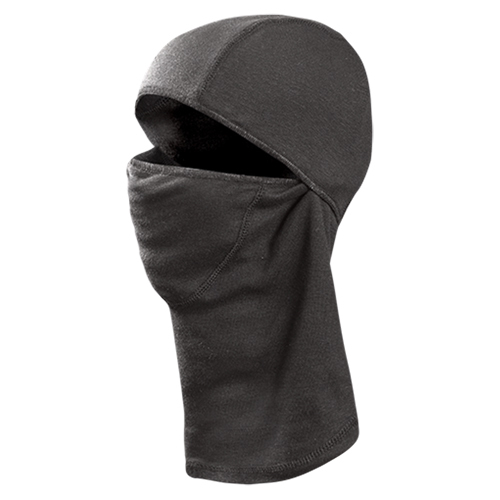 This ergonomically shaped Flame Resistant Hinged Balaclava is the most comfortable FR liner yet. It is Arc Rated ASTM F1506 & NFPA 70E to protect you from the flame and the 9.5 oz Modacrylic/Cotton/Spandex Rib Knit keeps you warm. The Balaclava hinged design allows nose and mouth to be exposed or covered, it's your choice.